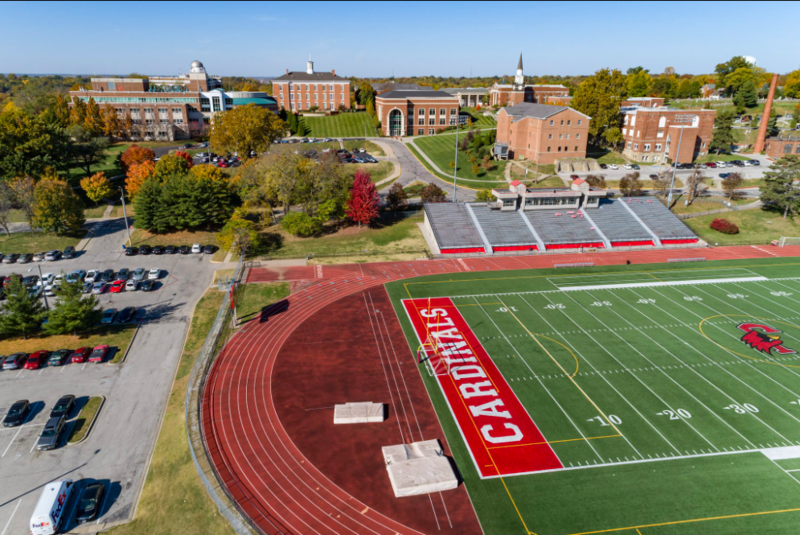 At William Jewell College, a considerable number in the community are student-athletes, and the athletic nucleus of the campus is the Mabee Center. Opened in 1980, the Mabee Center served the purpose of providing a space for the whole Jewell community – made up of four recreational basketball courts, squash and racquetball courts, an indoor track, the athletic weight room, a student fitness room and multipurpose classroom as well as the athletic offices and locker rooms, the Athletic Training Room and the William Jewell College Athletic Hall of Fame. But, almost 40 years after its construction, the Mabee Center has shown many problems and students often complain about problems like the air quality, lack of internal heating and air conditioning, and crowded weight room. Representatives at Jewell say that these complaints have not gone unnoticed. With these problems in mind, the athletics department has been working on possible projects to improve the College’s facilities. 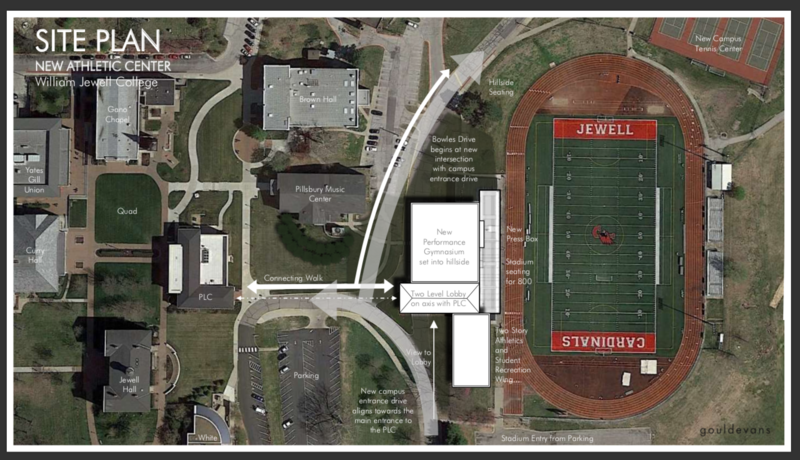 The Hilltop Monitor sat down with Tom Eisenhauer, director of athletics, to talk about the future of Jewell’s athletic facilities. Eisenhauer said that so far they are thinking about making new facilities that would be a combination of performance gymnasium, fitness center and football stands, located where Greene Stadium currently now sits. Eisenhauer also mentioned the old age of the Greene Stadium and that the construction has served its purpose. “It was a great facility in 1950, mid-fifties when it was built, but things get old and they wear out,” Eisenhauer commented about the stadium. Everything so far consists of concepts and ideas, not definitive ideas. Especially since this would be a donor funded project, it has no defined timeline. The athletics department wants to change the student-athlete and non-athlete experience, and they hope this goal will attract donors. “In any project like this, you hope that your plan appeals to donors. So we’re on the stage right now in which we’re exploring this concept and we’re presenting it to a few key stakeholders and key donors just to get their feedback,” said Eisenhauer. However, Eisenhauer also brought up that the new facilities are not set in stone. He explained that the same way the plan of renovating the Mabee Center changed to something better, at some point in the future the plans might change for these new facilities. “Six months from now we might realize that although this project had great appeal it didn’t actually do what we were hoping it was going to do, so we’re going to change course,” Eisenhauer said. But overall, this initiative shows how the athletics department cares about the students experience and that they have listened all the complains made. Eisenhauer also gave a final note of a great faith for this project since he thinks many donors will feel close to this cause and donate to Jewell. “I think there’s a lot of reasons to be optimistic, there’s a lot of people in Kansas City, a lot of alumnus that really believe in this place because they know how it transformed their lives. And I know they want lean and support this,” Eisenhauer said. Don’t forget about the swimmers! Let’s get some windows in the pool area or sliding doors to open up airflow.